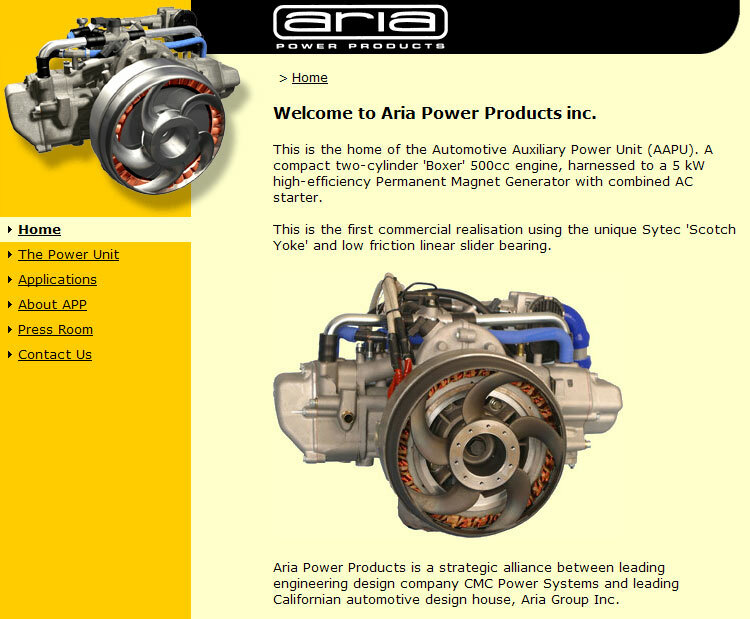 An Australian engineering design company (Aria Power Products) and its new engine concept required a complete communications strategy and collateral to support an international development programme. In conjunction with UK based project management company Resolve (itself another client), we developed a communications strategy, corporate identity, printwork, DVD, website development and managed their exhibition stands to support the international marketing. The project started out as a modest DVD programme production, but quickly grew to encompass almost every aspect of marketing communications, with the ultimate goal of launching the new engine concept to the World at the SAE in Detroit, Michigan. A multi-faceted project such as this requires many specialists, each working concurrently on different aspects of the programme. At one point, we had crews in Michigan working night and day on the exhibition stand, while 3D models were being prepared in the UK and Australia to be inserted into the DVD programme, at the same time as printwork being designed and printed to support the event. All this was happening while the engine itself was being fast-tracked from design to reality in less than 12 months. Due to a late project start, we had to compress the schedule to meet the show organisers’ strict deadlines. Unfortunately the client’s backers could not continue to underwrite the project, and it was cancelled prior to the event. Much of the collateral has been retained for future use by the client. The images shown here depict some of that collateral, developed in support of the show. To find out more about these and other services, please use the contact form.